What do YOU think? You guys are awesome! Okay, so this isn’t part 2 of the “Has Nintendo betrayed their fanbase?” article, but it’s something that I feel I’ve gotta type up at some point or another. Believe it or not, tomorrow marks my one-year anniversary of writing for Nintendo Everything, and because of that I feel the need to dish out some major “thank you”s right about now. 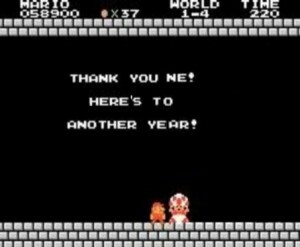 It’s been an absolutely fantastic year for me and video games, and I definitely want to give a big chunk of the credit to everyone that visits, contributes, or enjoys the site. You guys are the best. First, I’ve gotta thank the bulk of the reason this site is as popular as it is: You guys. 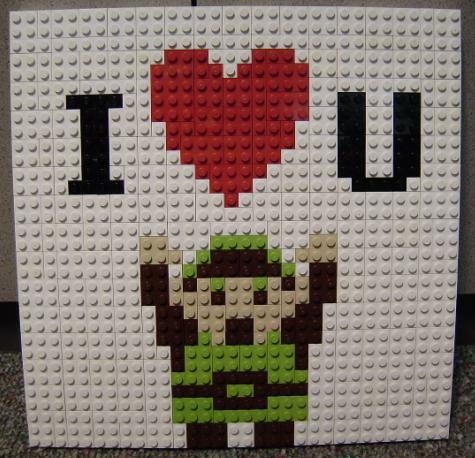 Everyone that is reading this, everyone that has commented on a news story, an article, joined the forum, or sent in a news tip; you guys are the biggest reason I do this (and because I enjoy it, of course!). Without you, I wouldn’t be where I am, and neither would NE. I think I speak for everyone that contributes to the site when I give you guys a major thank you. I really don’t know how many of you there are out there, but I’d send each and every one of you a personal thank you card if I could. I’m not sure what brought you to NE in the first place, but I am so thankful you’re here and sticking around! Hopefully you’ll stay for many, many years to come. What do YOU think? Has Nintendo betrayed their fan base? Firstly, let me quickly apologize for the useless 2 minutes of nothing at the end of the video. I have no idea how it got there, but I figured it wouldn’t be a huge issue for you guys. Just so you all know, this is going to be a 2 part article. After you read it, I encourage you to leave as many hateful (or nice!) comments as you wish, telling me how wrong (or right!) I am. I’ll sculpt my next article, which will go up this Sunday, around your responses, and finish off any points I left bare in this one. Like before, there’s a textual summary past the break if you need to read up on anything! Enjoy! The Wii’s Virtual Console service now offers over 300 retro games available for download. Chances are that of these 300 games, there has to be at least one title you haven’t heard of before. Events like Nintendo’s regular Hanabi Festival events add a lot of obscure, Japanese titles to the Virtual Console’s catalog. Not all of these games are necessarily good, but here are some of the better Japanese imports, as well as some other games that you might have overlooked. Firstly, thanks to all of you for your wonderful responses to last week’s WDYT article. With such a quantity and quality of them I’ll definitely go over the general consensus at the end of this article. Next, I just want to let you know that I’ll for sure be doing more video features in the future. I can tell you guys definitely enjoyed not having to read so much, so hopefully I can do even longer videos in the future, with more original content! There’s something missing from gaming today. I’ve been feeling it for a while now, but I haven’t been able to put my finger on what it is exactly. It’s certainly nothing totally debilitating for the gaming experience or I wouldn’t keep buying games, and I definitely wouldn’t identify myself as a gamer, but there are still times that I feel a disconnect between myself and what I’m playing. I’m not really sure how to fix it, but the first step to recovery is acceptance, right? I want to know exactly who is in charge of Nintendo’s advertising department in Australia. Not content with putting an ad for Wii Fit Plus during virtually every commercial break, Nintendo and Southern Star Entertainment joined forces to bring audiences The Pursuit, a TV show that can only be described as The Amazing Race meets The Wizard. For those of you that aren’t able to watch, or don’t feel like watching a video, I’ve written up a brief “script” of it so you won’t be left in the dark! 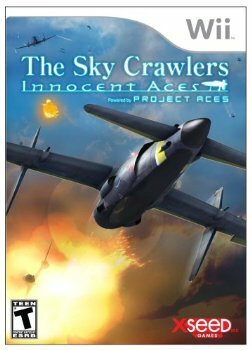 The Sky Crawlers: Innocent Aces, based on the anime film and novel of the same name, is a combat flight simulator developed by Namco’s Project Aces, the same development team responsible for the Ace Combat series. The game follows the player, callsign “Lynx,” a newly recruited pilot during an alternate world history in which war has all but vanished. In spite of the peace, private corporations contract fighter pilots to wage wars in an attempt to entertain a war-accustomed populace. Lynx joins Cougar Squad, one of many fighter squadrons in commission under Rostock Corporation. 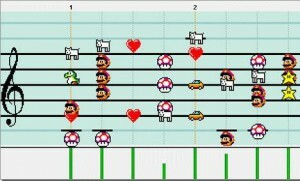 The last decade saw a number of changes, not just for Nintendo, but for the gaming industry as a whole. As systems became more powerful we were introduced to new games, as well as new ways to play games. We were forced to say goodbye to some of our favorite developers and series, but we still discovered new ones, and even some old ones that had been forgotten over time. As time progressed from the year 2000 to 2009, gaming also progressed, changing from a fairly niche pastime to a culture that gained some degree of mainstream recognition. These are the 10 games for Nintendo systems that I feel best represent gaming over the last 10 years. 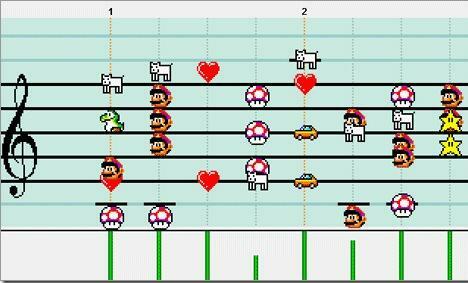 This week’s WDYT article is something I’m really passionate about, and that’s music in games. I really do love music, as I believe it completely sets the mood for the entire game, especially when done right. I hate to admit it, but music is one of those little things in a game that can push me from liking a game to really loving it. Without rambling too much, I’ll just say that this is my list of Top Ten Gaming soundtracks, and I want all you guys to show me your lists as well! At the end of the week, I’ll gather up all the “votes” and see what you guys think is the best soundtrack ever! Samus’ first adventure just made the cut for its beautifully crafted main theme, as well as the assortment of secondary themes that support it. No single soundtrack has ever portrayed the far reaches of space and science fiction better than Metroid’s own, and (while many of the songs may not be memorable) every song is perfect at capturing the deep space emptiness and loneliness that comes with Samus’ trek.